Jefferson's new book, a poetic novel, is now available for pre-sale! In The Book of Transparencies, the narrator discovers a book in a community college library that changes his life. 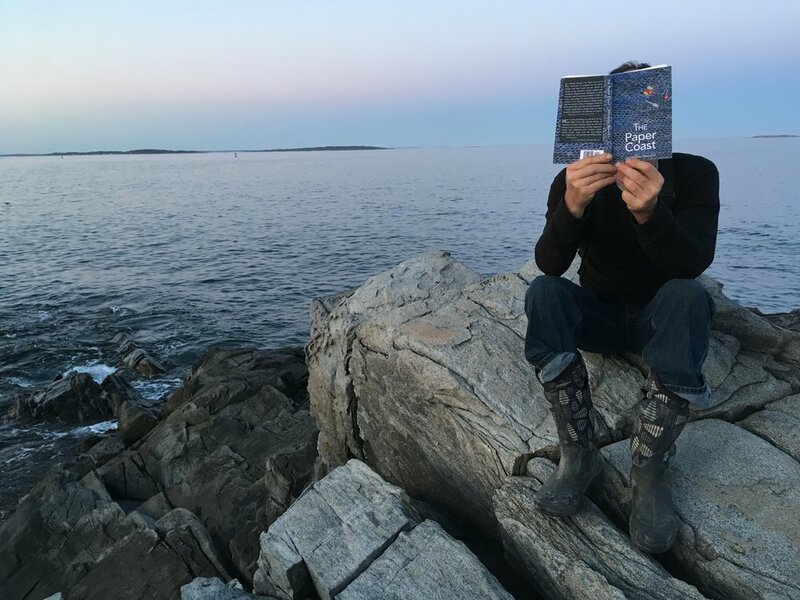 With increasing intensity, he traces both story and author through New York, Paris, Italy, and Berlin, arriving finally in Maine where the author disappeared decades ago. Part epic love story, part detective novel, The Book of Transparencies is an archive of a man's life, which comes to include the narrator himself. Its pages speak to the permeable, intersecting nature of our memories, and the efforts we make to bring the pieces into wholeness. Order now from KERNPUNKT Press. The book will be available in December 2018. Special thanks to Dennis Camire for including "Chest poem" in his August 5th edition of In Verse. The poem was inspired by an unsuccessful round of house hunting. The Paper Coast on Peaks Island! Click hear to listen to "Immigrant Rooms." The piece was originally published in apt. Jefferson reading at the Bryant Park Reading Room in Manhattan. Jefferson has three flash fiction pieces in the Spring 2018 issue of Dream Pop Journal. Jefferson has been named a finalist for a Maine Literary Award in both the Short Works Competition in Fiction & the Short Works Competition in Poetry. The awards will be announced live at SPACE Gallery in Portland on June 14th at 7pm. Jefferson's flash fiction piece, "Funny Girl", was published on The Flexible Persona.